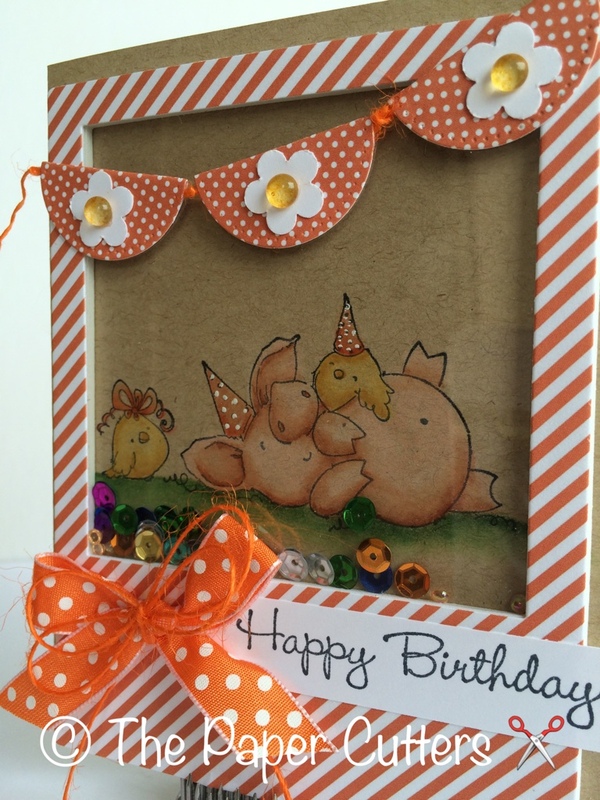 The Paper Cutters: Little Red Wagon Challenge #301-Shake It Up! Little Red Wagon Challenge #301-Shake It Up! Hello! I'm so excited to Host my first Challenge for Little Red Wagon this week! I hope you will join me and my Girlfriends for this weeks challenge called Shake It Up!! Shaker cards are everywhere it seems right now. If you have always wanted to give it a try, please do and share it on the Little Red Wagon blog. 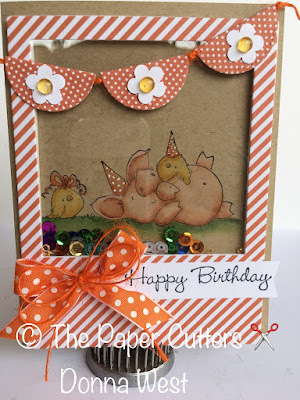 I used a Stamping Bella stamp called Petunia Has a Party! 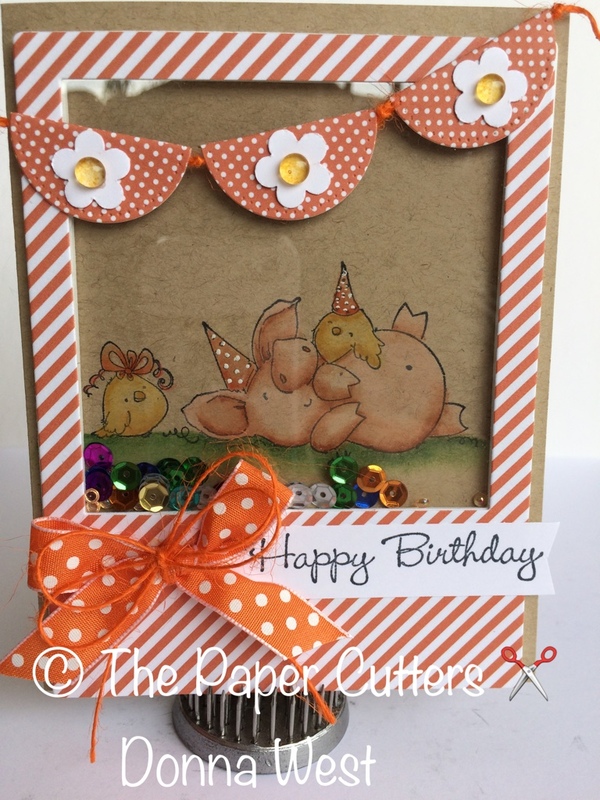 I just love this little piggy Petunia so much I had to make her a Shaker Card! I colored my Petunia and her little friends using my Prisma Pencils and blended with Gamsol. I will pick 2 winners next Tuesday so come on and play along with us! Need a little inspiration? Check out what our fantastic and amazing Design Team has done too. These girls are so talented and creative. Hop over to their blogs and give them some love! Their blog Links are listed over on the right side under My Little Red Wagon Girlfriends. Also here is the link for Little Red Wagon: http://lilredwagon.blogspot.com We love hearing from you. Good Luck everyone!! So cute! I especially love the banner. Hi Donna! Just realized I hadn't commented on your darling shaker. This just makes me smile, love that cute little piggy. I agree with Mandy, this was such a fun challenge!